Professionalism, style, luxury. 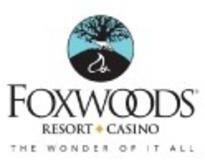 You’ll find it all at Foxwoods Resort Casino, the Northeast's premier all-in-one destination for meetings and events for all sizes. Our four distinctive hotels offer over 2,200 lavish rooms and suites with in-room conveniences like wireless Internet and high-definition TVs. You and your guests will enjoy the perfect fusion of natural landscape, over 100,000 sq ft of high-tech meeting space with almost infinite flexibility, nearly every kind of dining experience and countless entertainment options. Conveniently located in Southeastern Connecticut (Exit 92 off I-95), we're an easy trip from New York City and Boston and less than a one-hour drive from Providence's T.F. Green Airport and Hartford's Bradley International.